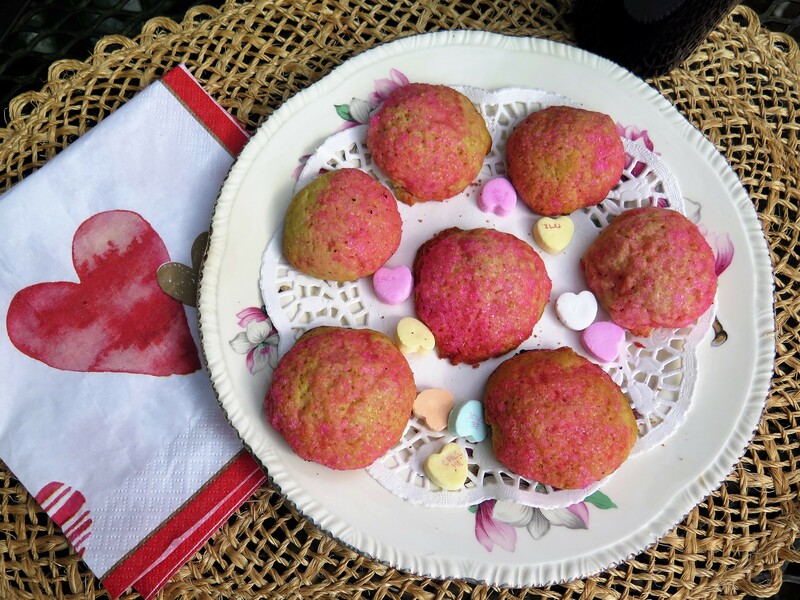 For Valentine’s Day, I have a simple cookie recipe from my grandmother Ida Belle. She was born in the late 1800’s on an Iowa farm where everything was homemade. I have fond memories of visiting the family farm in the summertime: fresh air, corn fields, and cool water directly from their well. Life seemed simpler then. Grandma liked to bake and Angel Crisps is one of her recipes. Grandma says that she got this recipe in a recipe letter exchange from Mrs. Owen Haak, of Trent, South Dakota. Recipe letter exchanges apparently were popular back then. I guess they were a type of chain letter, where you sent your recipe to the folks on the list in the letter, adding your name at the bottom and taking off the first person. Who can remember mail–sending and receiving letters and chain letters? In just a few years, technology has changed our world. I still think it is rewarding to receive mail; so I try to send letters to family members from time to time such as Valentine’s Day. The cookie is really a snicker-doodle recipe with characteristic baking soda and cream of tartar for leavening. The cookies really puff up during baking and sometimes they will drop, too, leaving a wrinkled crust. They are dipped in water and then in sugar before baking which gives a crisp top and a little crunch. 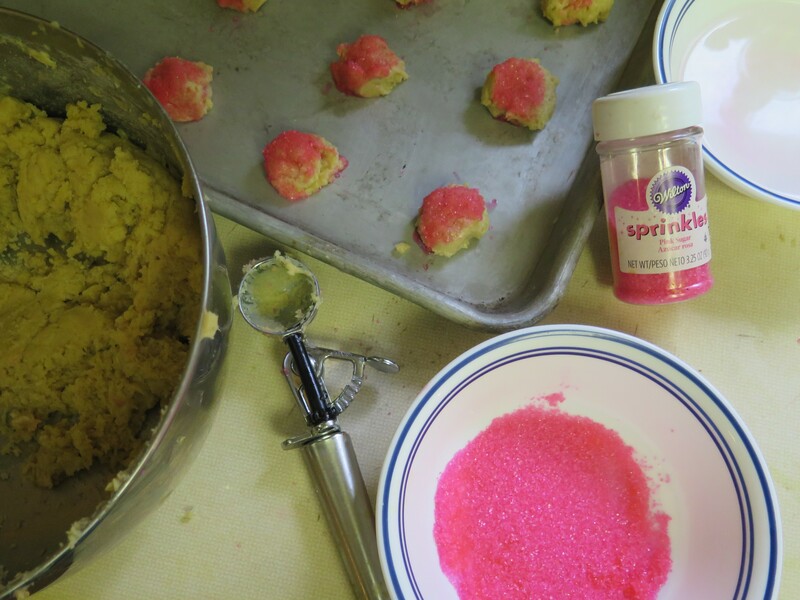 I use a cook’s scoop to measure out the dough and dipped them in pink sprinkles for Valentine’s Day. The cookies are baked in a hot 400 degree oven for a few short minutes — from 6 to 8 minutes. I used a light color baking sheet so the bottoms wouldn’t burn. If the center is not fully baked, that’s okay. Remove from baking sheet while still hot. 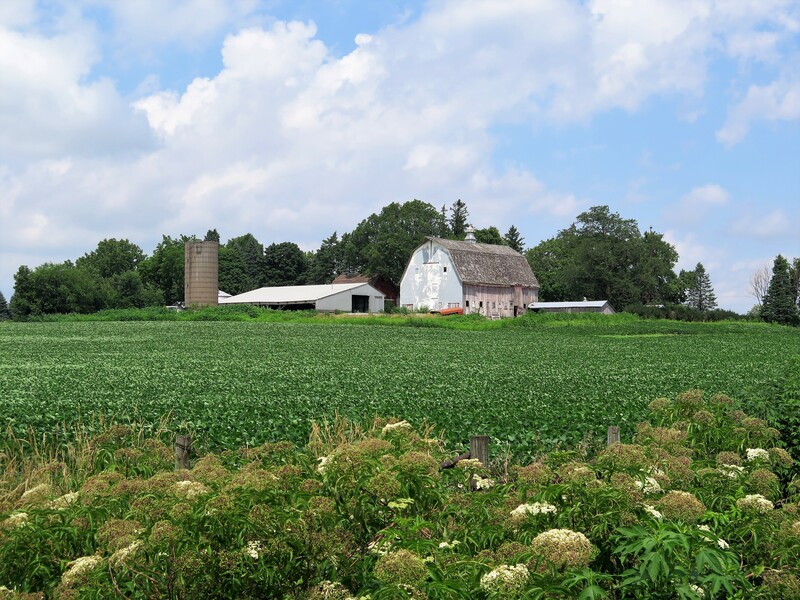 We returned to Waterloo, Iowa, and the family farm in the summer of 2017 for a family reunion. 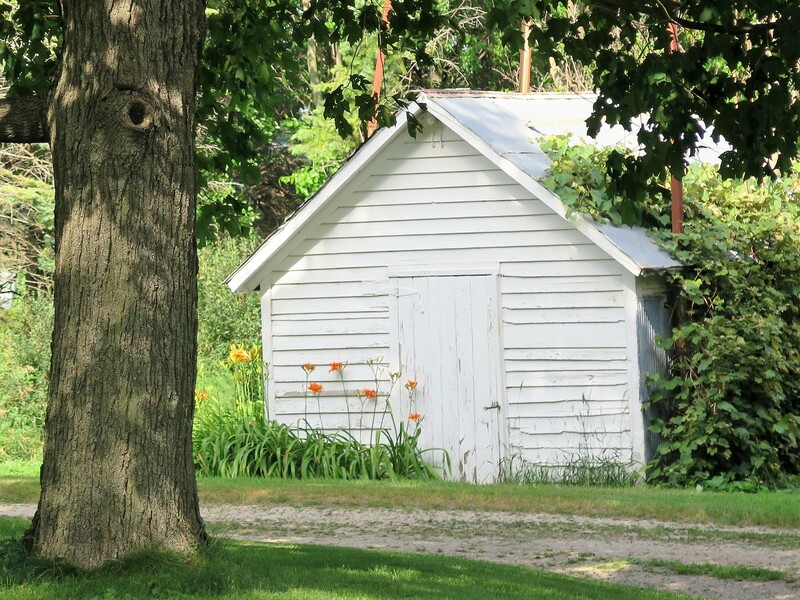 The barn is still standing — although it is not being used any more. Just as I remember it from my childhood. 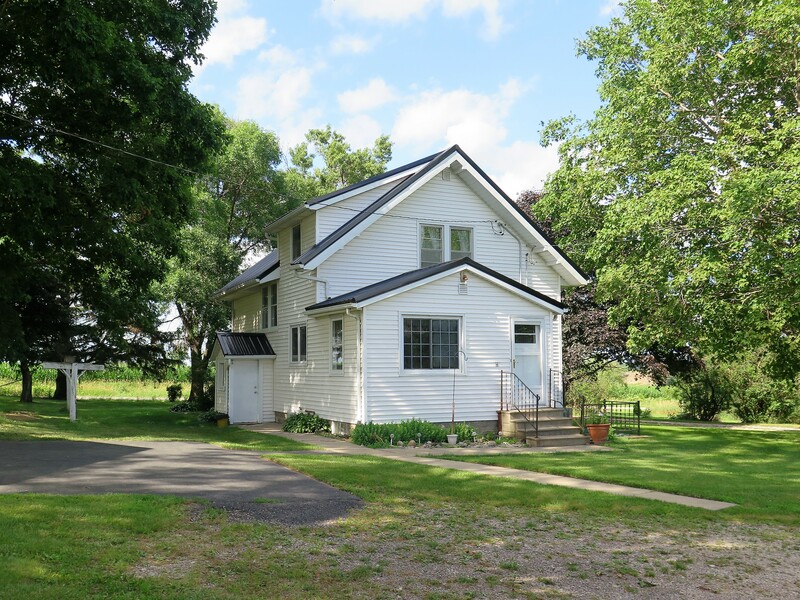 Here’s the farm house where my grandparents lived. My mother and her three brothers grew up on the farm here. And here is the well house building where we would go and get a dipper of cool, fresh water directly from the well which tasted so good in the hot summer. 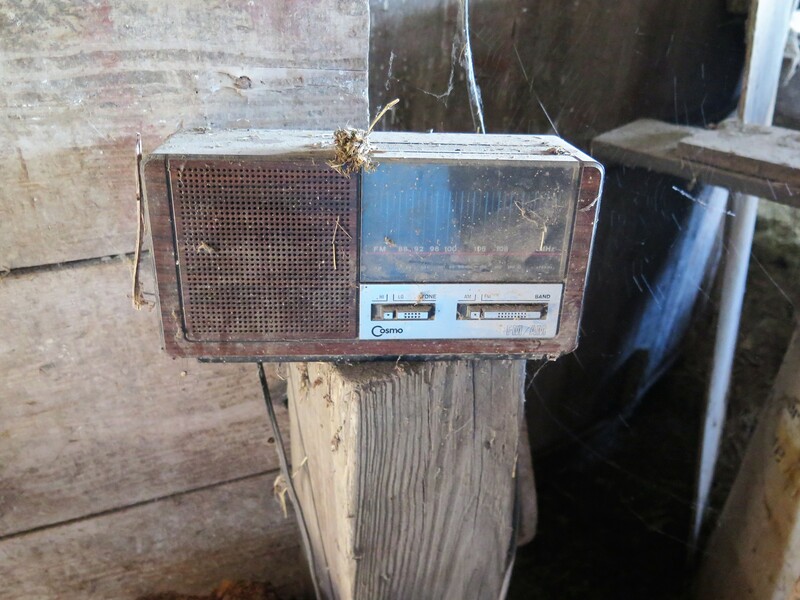 An old radio in the barn was still turned on to an FM station and playing after all these years. My uncle played classical music to relax the cows while milking them to increase the yield of milk. Back to the cookies. The sugar cookies – a variation on snicker-doodles – are easy to make. Perfect for Valentine’s Day. They won’t last long. Enjoy a plate — perhaps with some ice cream and coffee. And mail the recipe to someone you love. Please share. Pre-heat oven to 400 degrees F. Lightly oil light colored baking sheet. Add first 5 ingredients to medium bowl of electric mixer. Cream until blended and creamy. Sift dry ingredients together and add to liquid ingredients in bowl. Mix until just blended. Form into small balls. 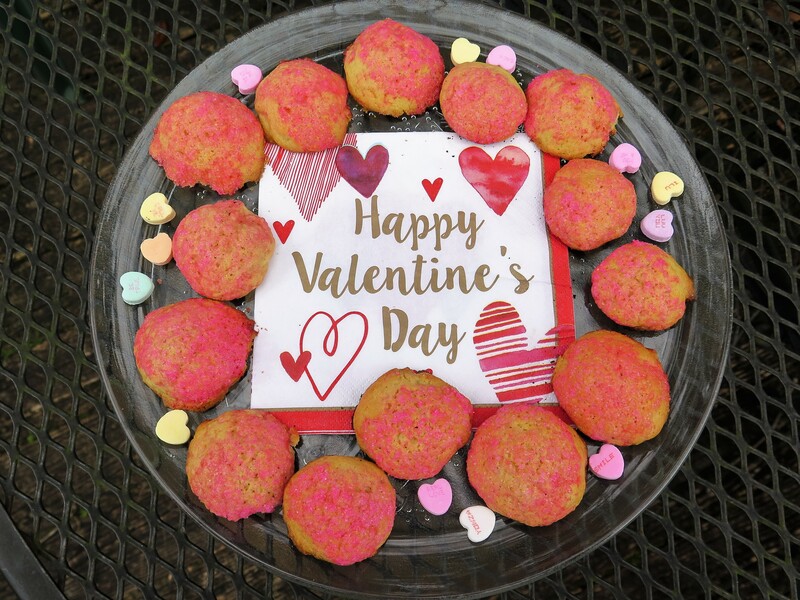 Dip tops in water, then white sugar (or pink sprinkles for Valentine’s Day). Place sugar side up on cookie sheet. Bake at 400 degrees F. for 6 to 8 minutes. From Mrs. Owen Haak, Trent, SD, in a letter recipe exchange. It became a favorite in later years. 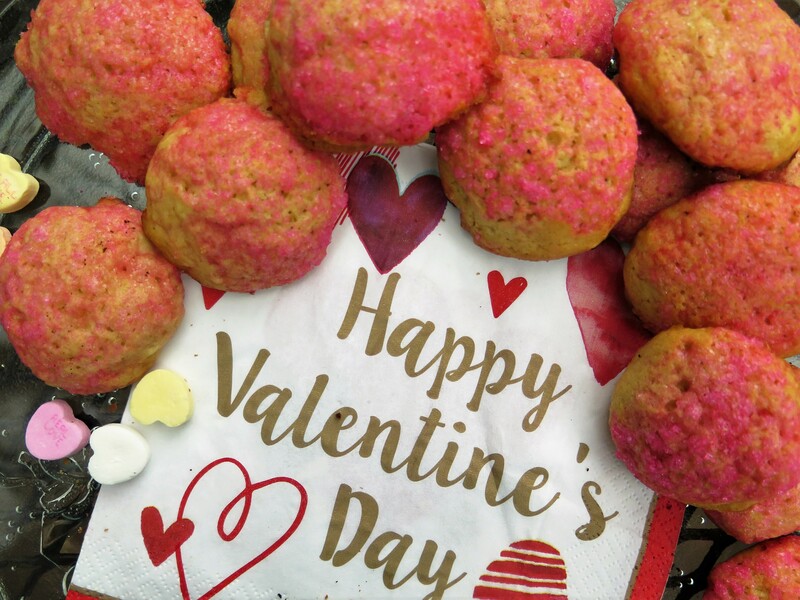 This entry was posted in Family Favorites, Recipes and tagged Angel Crisps, cookies, Grandma Ida, Iowa farm, Snicker-doodle recipe, Valentine Day, Waterloo by Maylee at Beyond Gumbo. Bookmark the permalink.